When a family member or loved one gets arrested, it is never an easy time. Often you may find yourself lost and not knowing what to do. However, finding the best bail bondsmen is the best thing you can do. They can guide you through all the process and hold your hand every step of the way. They can turn a stressful situation into a less stressful situation. Make sure your bail bondsmen are licensed and professional. Here at Avolevan Bail Bonds in Pomona, CA we pride ourselves in being licensed, bonded, and is the premier company here in Pomona, CA with outstanding reviews from all the clients we have had. Bail in the state of California can range anywhere from $5,000 to $1,000,000 respectively in accordance with the penal code and bail schedule. The fee you pay is about 10% give or take depending on what you can qualify for. The bail bondsmen’s job is to qualify you for the lowest rate possible to help you save money. Bail bond companies should be very transparent from the beginning of the phone call. Be aware of companies that advertise, “zero down, bail now, pay later” or “1% down” because these are gimmicks for you to call and feel committed to them. Zero down bail usually means you have to have outstanding credit above a 700 to be able to qualify for that. Zero down bail may also only be offered to people who are homeowners. Not everyone has outstanding credit, nor is everyone a homeowner. 1% bail usually is the same terms and conditions are zero down bail. For companies that offer 1% down to get your loved one out, may end up charging you the full 10% + more after having bailed out loved one. That is why you ask questions and make sure the company is being transparent with you. Here at Bail Bonds in Pomona, we tell you the rate you are going to pay from the beginning. Our paperwork will explain everything including late fees if you default on payment. 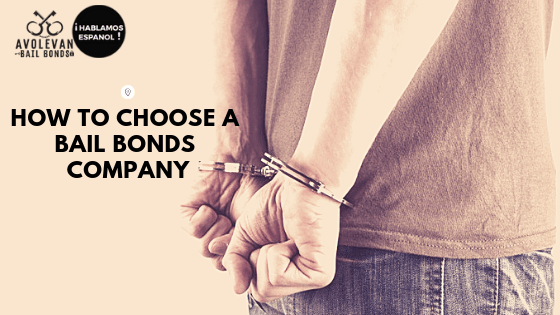 Choosing the right company means finding a company that will be transparent from the beginning and offers you affordable bail bonding to get your loved one out. Consider if the bail bond agent looks clean and professional. Does the bail bond company or agent have a physical office where business can be conducted from? Bail Bond company is licensed and bonded to conduct business in the state of California. Reviews or recommendations are essential. Maybe a friend or family member can recommend a company they have dealt with that they know was amazing and can vouch for their integrity. Endorsements from places like google, yelp, or the Better Business Bureau. Does the bail bond company have a good website that explains the bail bonding process and can answer your questions before even picking up the phone to call? Did you call the bail bond company first or did they call you out of the blue? A bail agent is someone most people hope never to use. However, if you find yourself in that situation, make sure you find someone you can trust for the situation. The reality is, there are no golden rules to picking a bail bond company. It’s hard to deem what company is better than the rest because at the end of the day any company can get you out of jail. It comes down to the reputation, integrity, personal experience. Sometimes the history of the company is an excellent way to weed out the lousy bail companies thus leaving you with the best fit. A bail agent should take the time to explain the entire situation in the best way possible. He or she should be able to explain your options and things that could potentially happen in the case. Transparency is the best thing you can look for when speaking to bail bond companies. Here at Avolevan Bail Bonds, we pride ourselves in being transparent with the clients from the very first phone call. We give you accurate information, give you your options, and try to help you the best that we can. Our agents are all licensed by the state of California, so we are all qualified to help you and your loved ones when in need. We have bailed out over 10,000 people in our 20 years of business. All of our clients will speak highly of us, and our reviews can speak for themselves. Call us for free bail information at (909)721-8204. We are available 24/7 to help you with your needs.